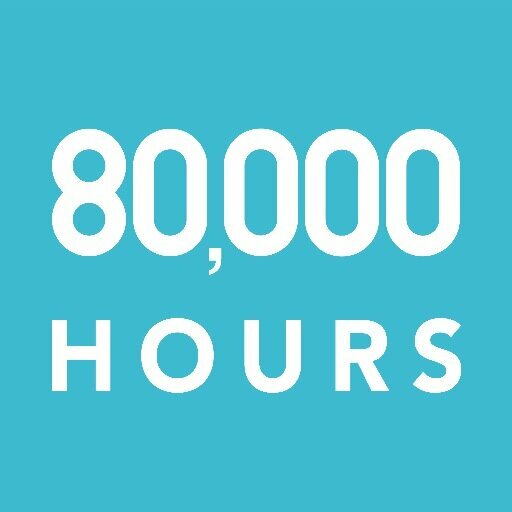 The sole purpose of 80,000 Hours is to help you work out in which career you can make the most difference. At first sight, it’s hard to know where to begin. Or what this even means. Indeed, many people don’t think it’s even possible to work this out! We don’t agree. However, we think that if you don’t try to weigh up your options, you’ll end up doing far less for the world than you could otherwise be doing. After talking one-on-one with around 100 people about their careers, asking people who have made a big impact, and thinking through what matters, we’ve developed a simple framework for assessing the value of different careers. To make a big difference, you’ll want to work on the problems where your contribution will go as far as possible. These are problems which are both important - worth doing something about - and tractable - it’s possible to do something about them. We call these effective causes. For most people, it is very hard to figure out what projects they will be working on beyond 3 – 5 years, and so we don’t find it very useful to try to evaluate the impact of these projects. Rather, we prefer to evaluate individuals’ general potential to have an impact. We call this career capital. Your long-term general potential is often more important than your immediate impact. Most careers only peak after around 20 years - you’ll be having more impact when you manage the charity rather than intern for it. Developing your career capital may be preferable to acting directly because your knowledge of which cause is most important are very likely to change. Getting a job often depends on who you know. So if you know more influential people, you may have more valuable employment options. Your network can also help you to have a direct impact: it’s easier to lobby the government if you know a senator. Your skills will also determine who is willing to hire you. Moreover, your skills are what you’ll use, in addition to your network, to make a difference. Because of literature on expert performance, we believe it is possible to develop competency in many areas with training.With training, we think it’s possible to increase your ability to get stuff done a great deal So skill development appears very important. People will assess your job application based on your work experience and qualifications. Some jobs are prerequisites for further jobs. For instance, you won’t be considered for a career as a lawyer unless you have the right qualifications, even if you know all you need to know. Some careers or qualifications are useful as a means of signaling your ability to others. For instance, it is harder to get into finance if you have not graduated from an elite school, regardless of your true skill. These are important factors. We’ve argued that keeping your options open is very important for effective altruists - probably at least comparable to your immediate impact. This suggests that building career capital, which seems to be the main way to improve your options, is at least as important as your immediate impact. or many effective altruists, especially those at the start of their career, Sowe favor first focusing on the careers that are best for building your career, and then factoring in immediate impact. If you’d like to make an impact more directly, consider party politics, founding effective non-profits, working inside international organizations, government or foundations to improve them, and doing valuable academic research. If you’d like to advocate for effective causes, consider party politics, journalism, and working in international organizations, policy-oriented civil service or foundations. Some career paths that look promising overall are: tech entrepreneurship, consulting, party politics, founding effective non-profits and working in international organizations. Some paths we think are promising but are largely neglected by 80,000 Hours members and would like to learn more about are: party politics, working in international organizations, being a program manager at a foundation, journalism, policy-oriented civil service and marketing. Although the background information on these careers cannot be presented in this short essay, it is largely available on our website, 80000hours.org.